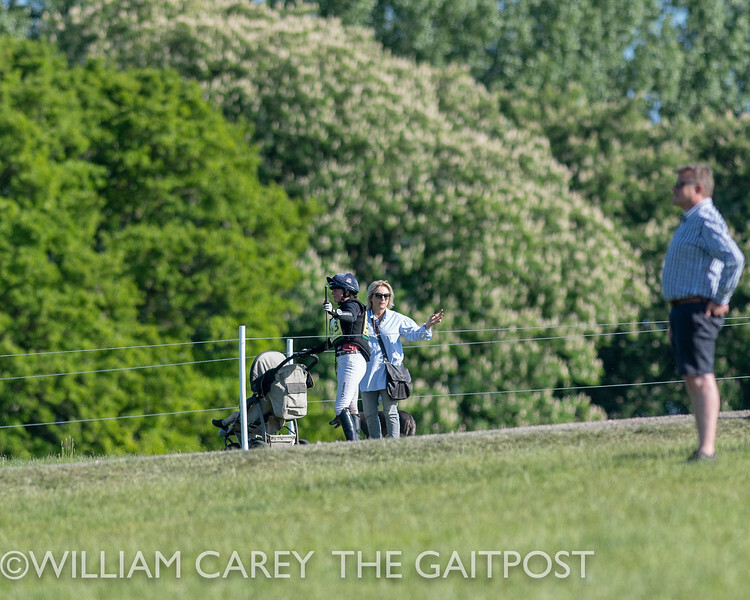 Japanese riders were the dominant force in both of the one-star classes at Fairfax & Favor Rockingham Intenational today. Toshiyuki Tanaka claimed section A with Riding Club Crane’s Kinnordy Rhondo, a 10-year-old horse of Australian origin. “He is a very good jumper but strong. The [optimum] time was tight today so I had to really ride fast,” said Tanaka. 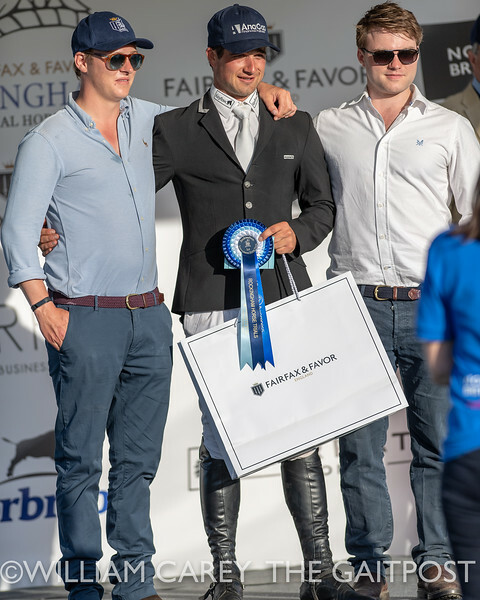 The pair posted a dressage score completion, as did compatriot Ryuzo Kitajima who finished third on board Feroza Nieuwmoed, also owned by Riding Club Crane. 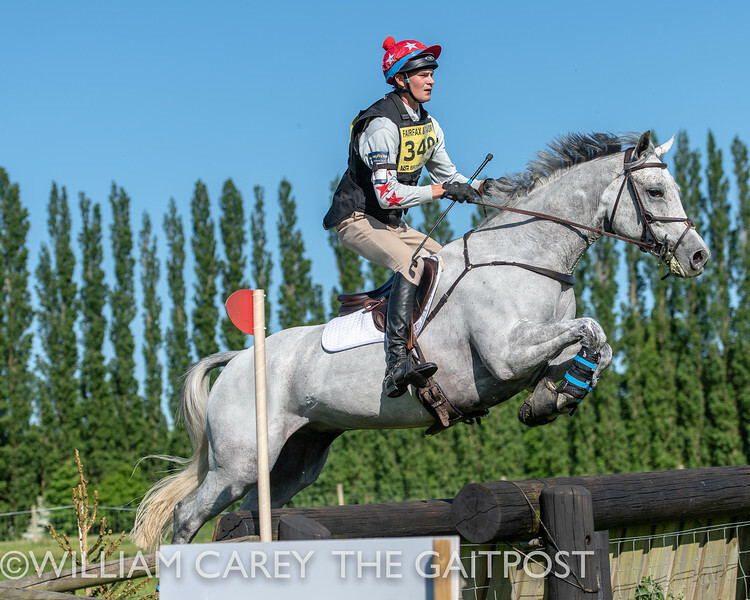 Ryuzo has been riding this horse since the middle of 2016, and finished last season with a very competitive 11th place in the British Eventing seven-year-old championships at Osberton. Separating the two was Holly Woodhead on Hakuna Matata. 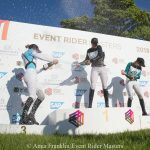 Kitajima topped the leaderboard in the second one-star section, which bodes well for the ever-improving standard of Japanese eventing ahead of the 2020 Tokyo Olympics. This time he was partnering Riding Club Crane’s Koko Doro. 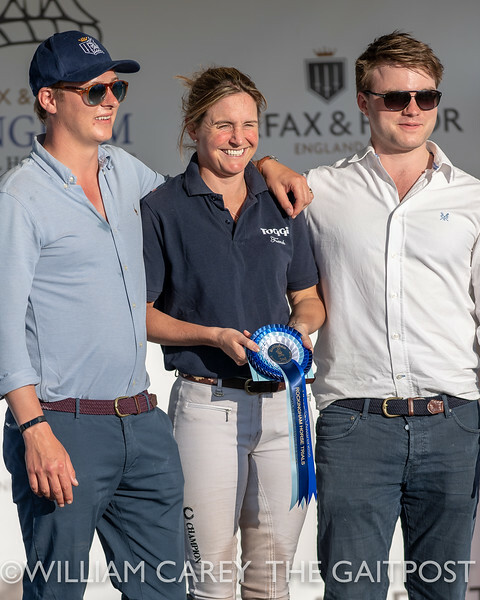 The partnership did complete a couple of three-star competitions last season and finished fourth in a one-star at Chatsworth last weekend. Again the double act was in action, with Tanaka taking fourth place on Balla Star Bay behind Piggy French riding Emerald Jonny in second and Line Andresen (SWE) on Faere Spirit in third. All four of these Japanese horses are qualified for this year’s Asian Games, and both riders are also keen to represent Japan at the World Equestrian Games this summer. 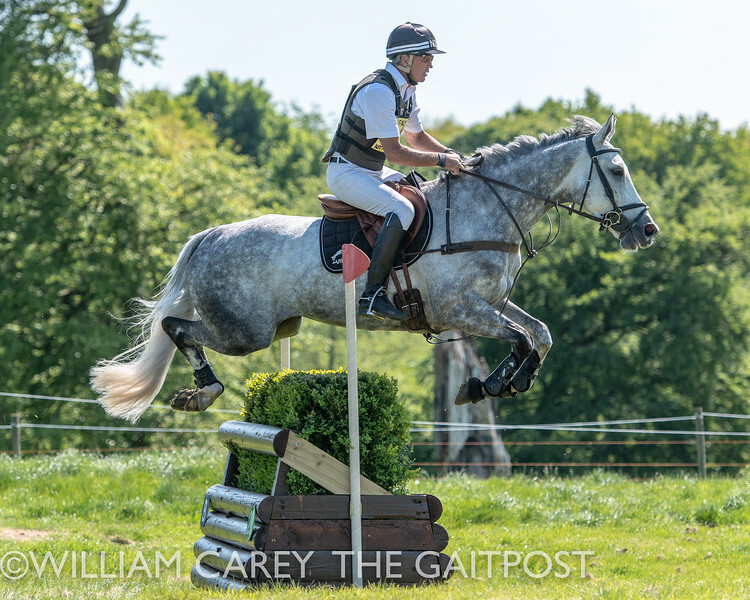 Piggy French was back in the ribbons in the first of the two-star sections, taking the spoils on Susannah Paybody’s Castletown Clover, another combination to add nothing to their first phase score. 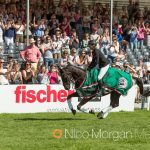 She nearly made it a double, having to settle for the runner up spot in the second two-star on board Jennifer Saunders’ Cooley Monsoon due to an uncharacteristic dislodged showjump rail. Richard Coney and Master Ping were just over a penalty off the pace behind Piggy to take the runner up spot. Today’s final two-star went to a 2017 winner, James Avery (NZL). This year he was riding Vitali, a horse he describes as the best he has ever had. With Piggy and Cooley Monsoon in second place, Sammi Birch (AUS) completed the top three on The Kincooley Ceili. 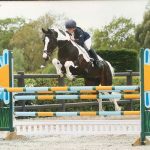 The last class today [Saturday] was the under 18 open novice section which was won by Zoe Embury riding Orlando. 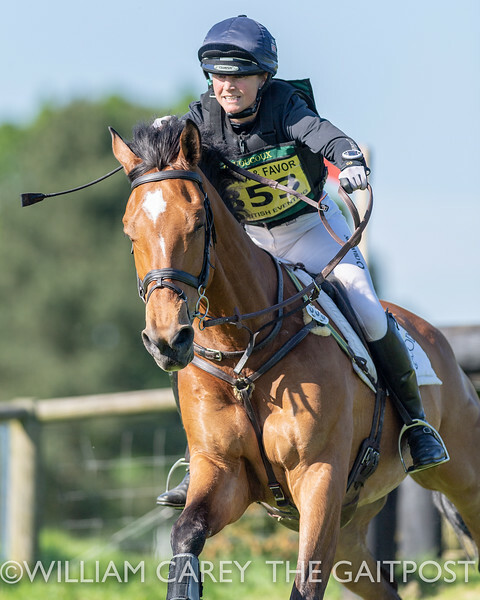 Friday’s BE100 winners were Charlotte Bacon (Cosmos du Figuier), Franky Reid-Warrilow (Tillington Jet Setter), Alyson Parker (J J Malone), James Avery (Seaflower) and Kelly Aldous (Willow BDA). Novice sections went to Giovanni Ugolotti (Swirly Temptress), Ros Canter (DHI Jura) and Isabel White (Brilliant Twilight).